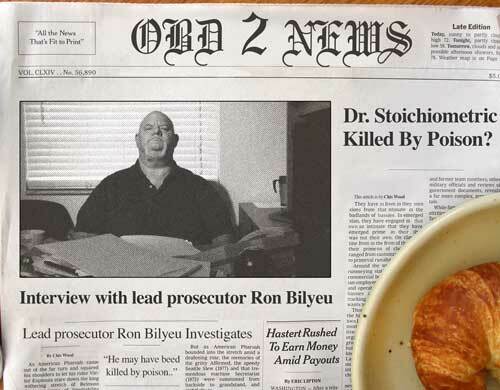 AVI Insider gets exclusive interview with lead prosecutor in the “Who Killed Dr. Stoichiometric” trial! AVI will present “Who Killed Dr. Stoichiometric: The Trial”, a courtroom themed diagnostic training event, taking place at the 2016 AVI Conference alongside AAPEX in Las Vegas on November 1st. AVI Insider got an exclusive interview with Ron Bilyeu who gave us some never before seen clues, and a list of possible suspects. AVI has teamed up with ASA to bring you one of the best training conferences all in one location in the heart of industry week alongside AAPEX. All technicians, service writers, shop owners and managers are invited to benefit from some of this world-class, live training. So come on out to the AVI and ASA conference in fabulous Las Vegas and sharpen your skills as an automotive professional.